One of the functions of the committee of experts that constitute a UN Treaty Body is to publish their interpretation of the content of the human rights provisions contained in the treaty they monitor. These interpretations are known as general comments and also may include guidance on the information that should be submitted in State reports relating to specific articles of the treaties. 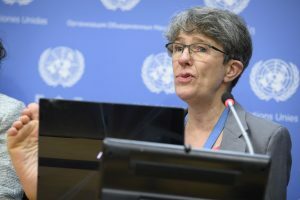 In response, the Committee on the Rights of Persons with Disabilities, which monitors the UN Convention on the Rights of Persons with Disabilities (CRPD) declared that “Laws which explicitly allow for abortion on grounds of impairment violate the Convention on the Rights of Persons with Disabilities (Art,. 4,5,8)”. The Committee further explained that this type of abortion is often based on inaccurate diagnosis and that “even if it is not false, the assessment perpetuates notions of stereotyping disability as incompatible with a good life”. The HRC will consider all feedback received before completing a final draft of the comment.